Our annual show started at the South Bay Galleria in 1997, where it was held for 3 years. 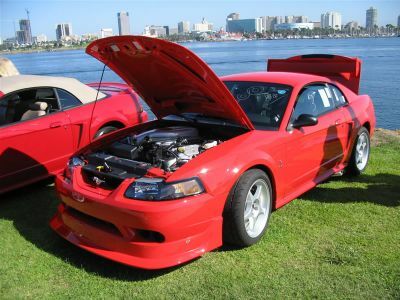 Then in 2000, we moved it to Long Beach Harbor, in the shadow of the Queen Mary. 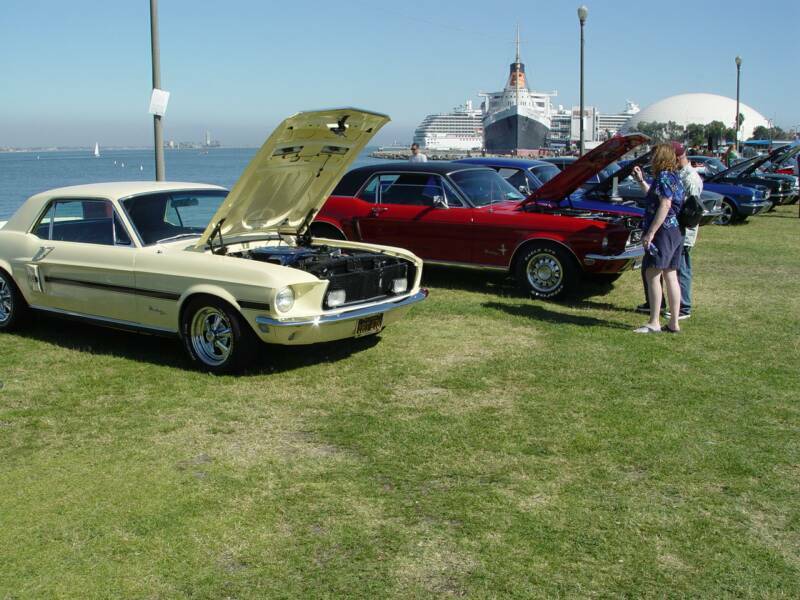 The first few shows in Long Beach were held in a parking lot close to the ship, called "Seaport Village". 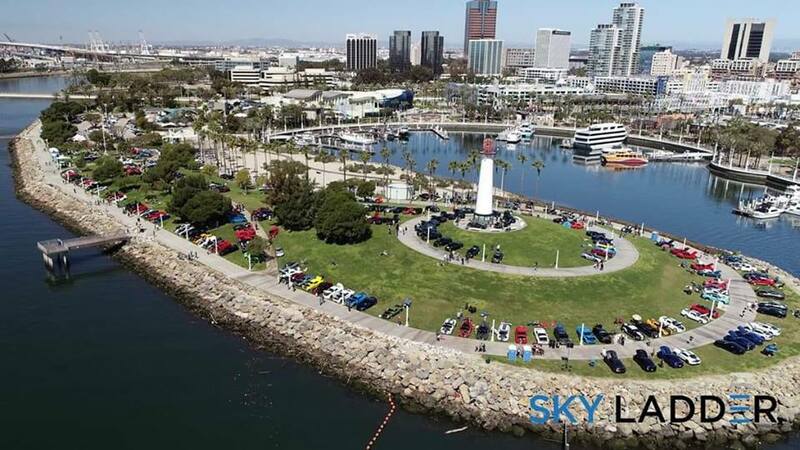 We quickly outgrew that lot, and moved to the Queen Mary Events Park. Soon after that, we filled the park and had to expand into the large adjecent parking lot. For 11th years in a row, we passed the 300 vehicle mark! Now with our new location, not only is there more grass parking, but almost every spot has a view of the water! Use our show website to book a hotel room. 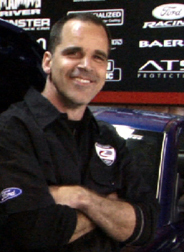 Many Ford lovers make a vacation out of the show. Late summer traditionally has the best weather in SoCal. If you live locally, then make it a STAYcation! There are several fun and interesting things to do, all within 25 miles of the ship. After exploring the Aquarium and other Long Beach attractions, make your way to other world-famous attrations like Knott's Berry Farm, Disneyland or even Hollywood. 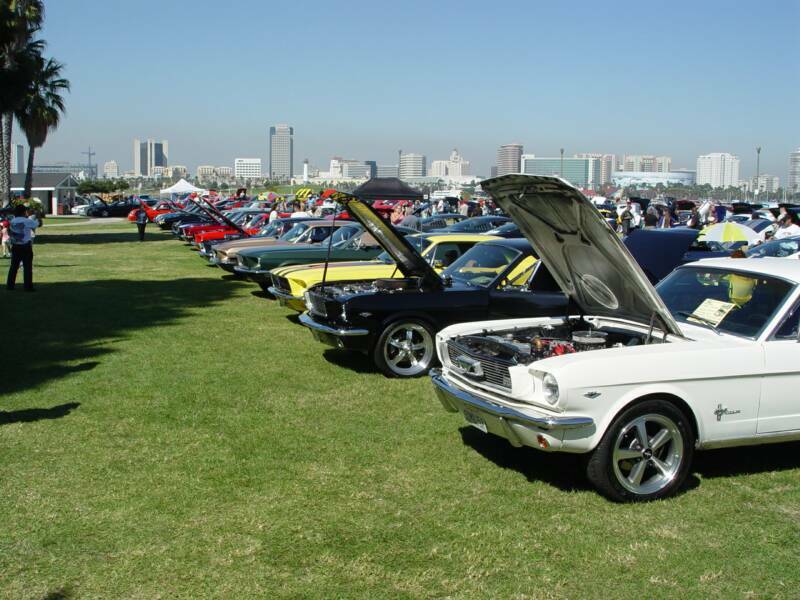 We've found the perfect location for a car show! Be sure to register soon before we sell out again. 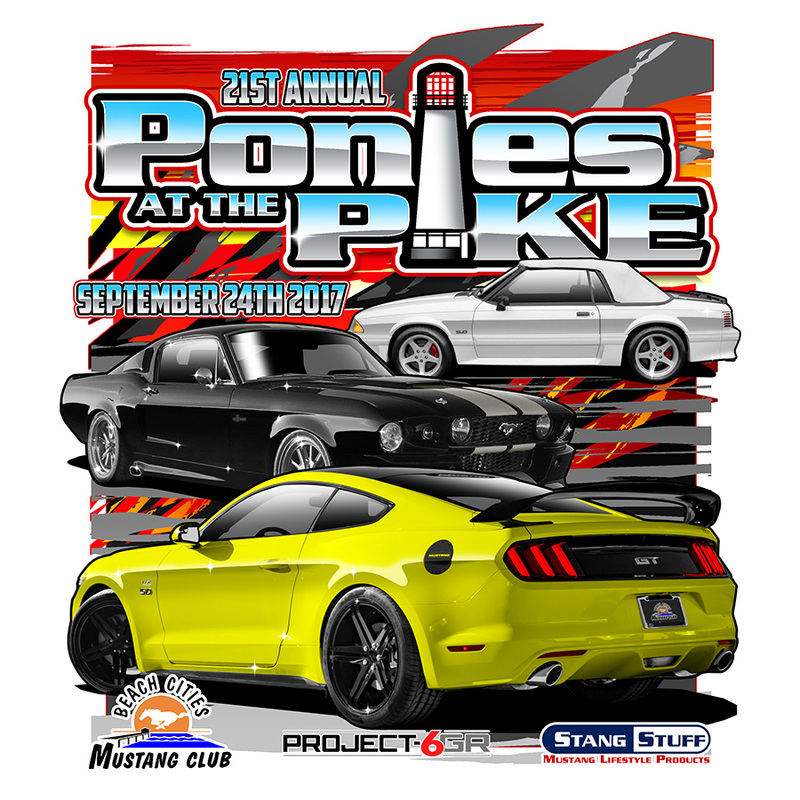 The show is FREE to spectators (you'll use the PIKE OUTLETS parking lot, where regular parking rates apply). The best time to view the show is Sunday 10am - 3pm, when all the vehicles are in place. Bring the family for a fun-filled day! 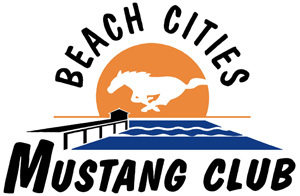 In 2014, we moved our popular Mustangs at the Queen Mary to a new, awesome location: Shoreline Aquatic Park - also known as "Lighthouse Park". With dozens of attractions, eateries and things to do within walking distance we found the PERFECT location for our annual show. Plus, NOW EVERY PERSON WHO PRE-REGISTERS WILL BE PARKED ON GRASS! This website is your one-stop place for everything show related. You can register online, get a vendor booth, take a look at our history and more. 2019 Pike Show Registration NOW OPEN! 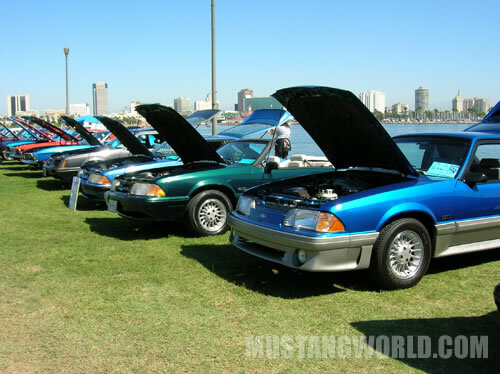 California's largest Mustang show is FREE to the public! Parking will be very limited at the show's parking lot. You should park at the Aquiarium or Pike Outlets parking garages. No validation at the show. Regular parking rates apply. Consider visting local businesses for validation.